Prepared well with the constituents such as methyl anthranilate, benzyl alcohol, indole, linalool, skatole, our Jasmine Sambac Absolute Oil is comprehensively in demand. Extracted from the Jasmine Sambac, our Oil is widely demanded due to its purity and effectiveness. 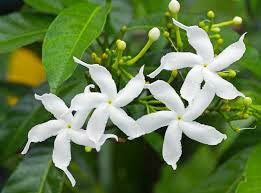 Jasmine Sambac Absolute Oil is regarded as an aphrodisiac and can helps calm feelings of anxiety. It is offered by us at the most discounted prices. We are a credible Manufacturer, Supplier and Exporter of Jasmine Sambac Absolute Oil in Uttar Pradesh, India.